I have decided to save the best till last, and I believe with this new Sega Master System port demo, I think you'll agree the detail is just mind blowing. Developed by Ichigobankai for the SMSPower! competition 2016, ' CIMMERiAN ' is a high graphical quality "pseudo" port of the famous Barbarian, which appeared on many different systems including the Amiga. 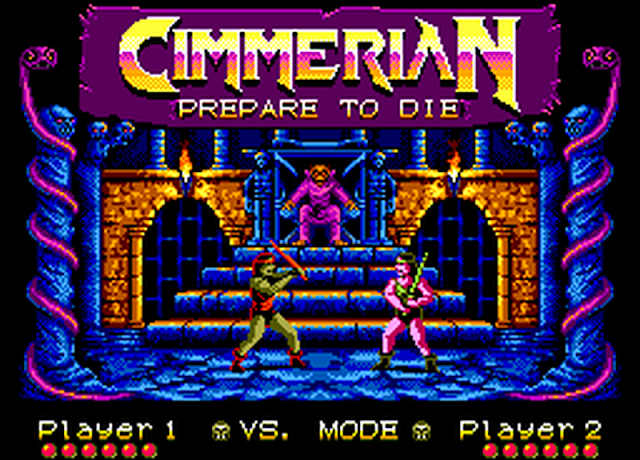 If you don't remember the game, you control a Barbarian in a single screen combat scenario and must use sword chopping movements to put your opponent to the ground, with or without his head. 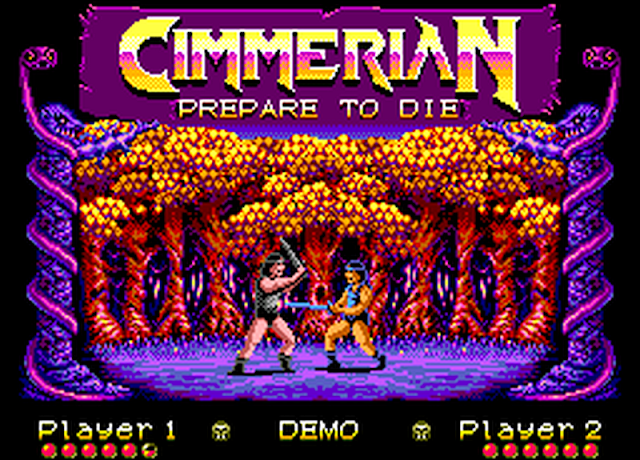 According to the creator this demo includes a story and vs mode, 3 arenas, random colour schemes, no samples/SFX, music taken from a WWF game on GameGear (just to be sure that the lib works properly) and intro image taken from Conan the Barbarian the movie. Further developments include no bugs, finalized AI, a hall of fame, screen options for VS mode, 10 different arenas, intro and outro images, samples, sfx, music, and that all important head chop move, which so many of us enjoyed using.